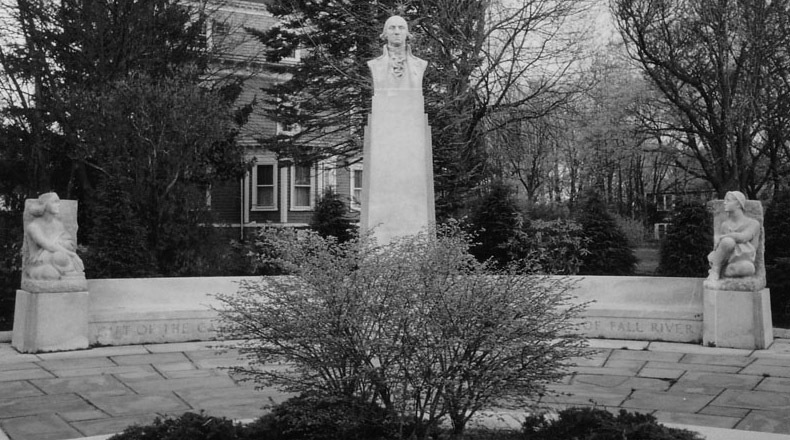 The Catholic children of the diocese in Fall River collected their pennies to pay for the erection of what was heralded as being one of the most beautiful George Washington monuments and “of such artistic merit and patriotic intent as to attract nation-wide interest,” reported the local paper on October 8, 1942. The monument was dedicated appropriately on July 4th of that year with much pomp and ceremonial celebration. 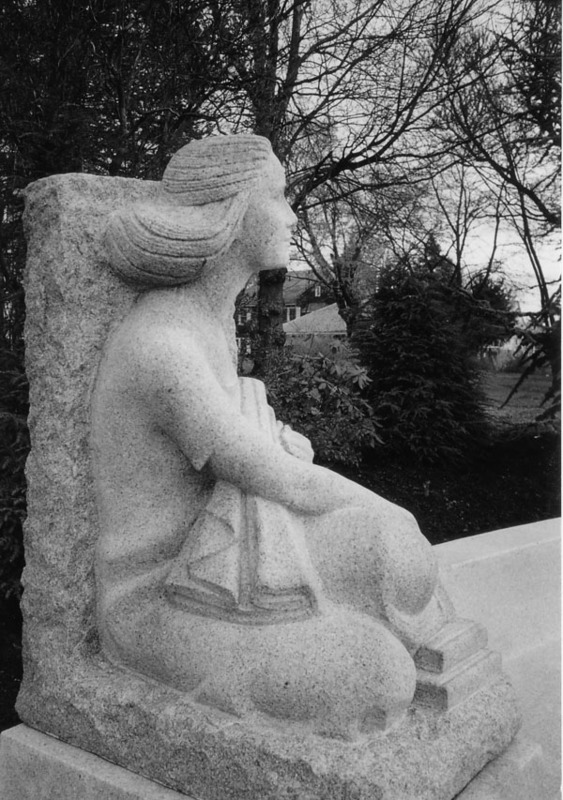 The paper reports that Maginnis & Walsh, Architects were asked to choose a nationally recognized sculptor. Of five sculptors who entered the competition, Frederick Warren Allen was awarded the project from sketches created in collaboration with Henry and Richmond, Architects. Mr. Allen was age 52 at the time and had long been head of the Sculpture Department at the School of the Museum of Fine Arts in Boston. His design was the unanimous choice of the judges, Bishop Cassidy, and Maginnis & Walsh. 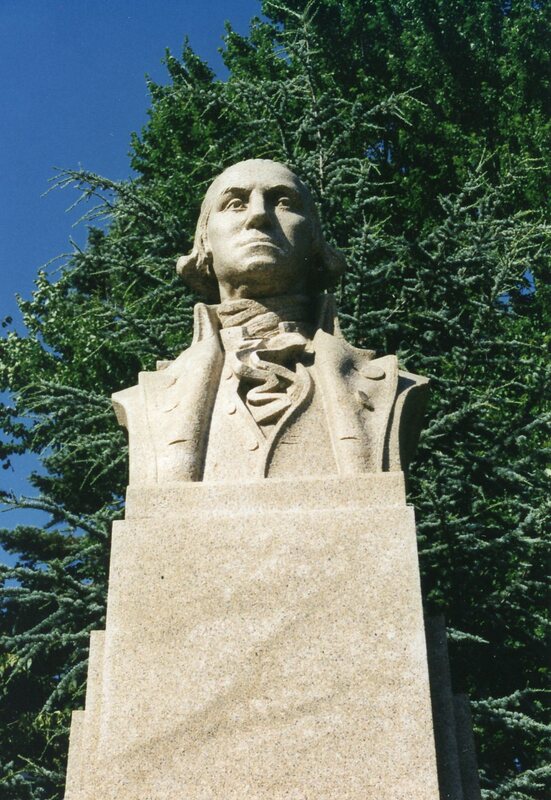 The specifications called for a Deer Island granite portrait of George Washington either as a monumental size bust or a bas relief at a cost of $20,00. Since the memorial was financed by the children, it must also include a boy and a girl student representing patriotism and religion. The final monument includes a heroic portrait bust atop a tall tapered and stepped pedestal from which extend curved benches (extera) ending in short square pedestals on which sit a boy with an eagle carved on the vertical back support on the right and a girl with her hand on books, perhaps including a Bible, on the left. Original clay models were created to size and assistants worked from them, one of them remembering that there was a defect in one of the pieces of granite, requiring an adjustment of the final figure of the boy. Allen himself carved the bust. 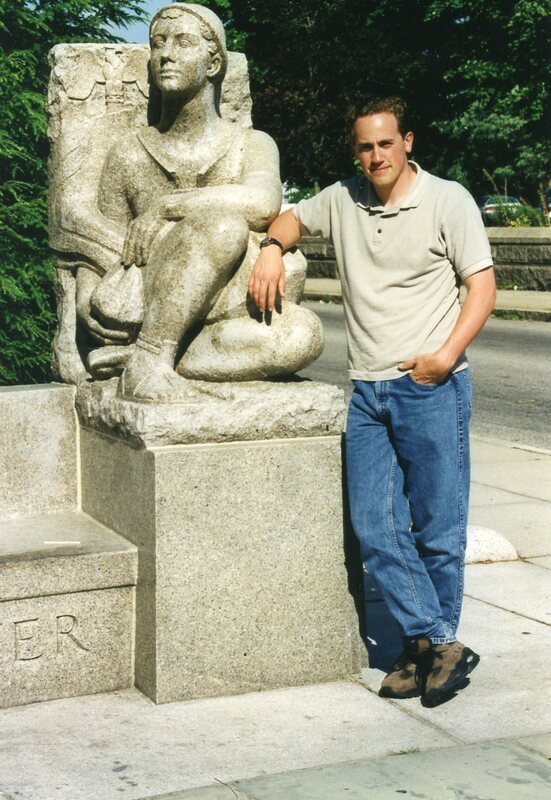 The style, although classical in form, is naturalistic with simplified modernistic details, reflecting the Boston School esthetic and the work of Saint-Gaudens with the clear imprint of the impressive style of Frederick Warren Allen as a mature and accomplished artist and sculptor. Geo. Washington Memorial, Fall River, MA, F.W. Allen, Sculptor, 1942, Photo of seated boy taken with the sculptor’s great-grandson.